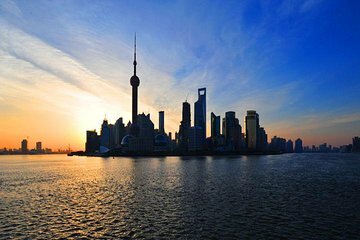 Don’t let limited time in Shanghai stop you seeing the city’s highlights. Tick off more landmarks in less hours on a private full-day tour, a great introduction for first-time visitors. With just your guide and private party, you’ll visit Nanjing Lu (Nanjing Road), the city’s central shopping hub; The Bund (Waitan), replete with colonial European architecture; and Yuyuan Garden, a serene respite from the bustling city. Hotel pickup and drop-off are included. No pudo ser mejor nuestra visita, nuestra guia Alice muy simpática y siempre pendiente de explicarnos todo muy amablemente y con mucha paciencia, hasta nos canto una canción de regreso al Hotel.